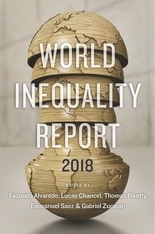 World Inequality Report 2018 is the most authoritative and up-to-date account of global trends in inequality. Researched, compiled, and written by a team of the world’s leading economists of inequality, it presents—with unrivaled clarity and depth—information and analysis that will be vital to policy makers and scholars everywhere. Inequality has taken center stage in public debate as the wealthiest people in most parts of the world have seen their share of the economy soar relative to that of others, many of whom, especially in the West, have experienced stagnation. The resulting political and social pressures have posed harsh new challenges for governments and created a pressing demand for reliable data. The World Inequality Lab at the Paris School of Economics and the University of California, Berkeley, has answered this call by coordinating research into the latest trends in the accumulation and distribution of income and wealth on every continent. This inaugural report analyzes the Lab’s findings, which include data from major countries where information has traditionally been difficult to acquire, such as China, India, and Brazil. Among nations, inequality has been decreasing as traditionally poor countries’ economies have caught up with the West. The report shows, however, that inequality has been steadily deepening within almost every nation, though national trajectories vary, suggesting the importance of institutional and policy frameworks in shaping inequality. 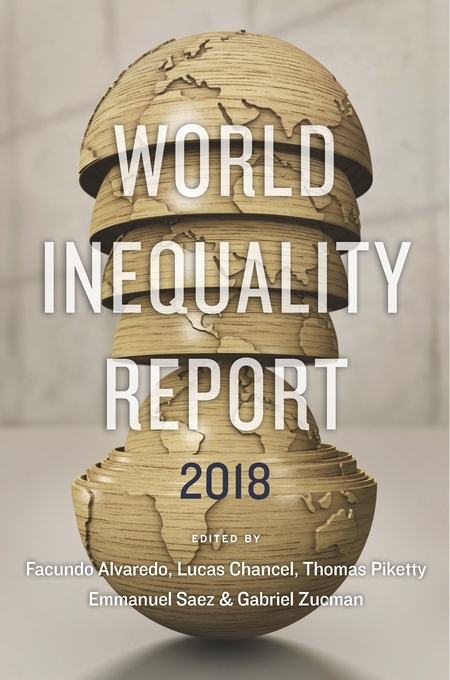 World Inequality Report 2018 will be a key document for anyone concerned about one of the most imperative and contentious subjects in contemporary politics and economics.